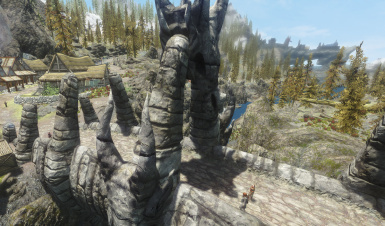 A simple mod that makes the actual Dragon Bridge - not the town - substantially bigger. This has no new assets or anything worth worrying about permission-wise. 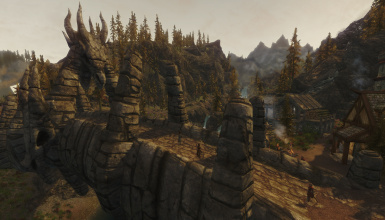 I clicked on the Dragon Bridge and scaled it up a notch, and that's about it. 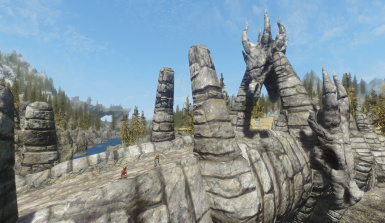 You can feel free to include the embiggened Dragon Bridge in your own mods. Not like anyone could even prove that you didn't click on it and change the scale yourself. Like really why are you even reading this? 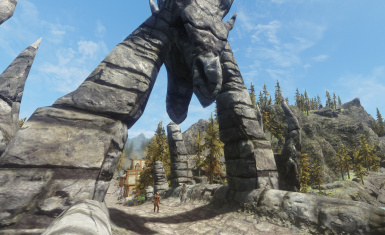 If you want a big bridge you can use this or do it yourself, it's ridiculous how little effort went into this. It was me, the genius modification auteur "Nerd of Prey," who clicked on the bridge and pressed the "s" key and went woooop so it got bigger. You should have been there to see it, it was poetry in motion. 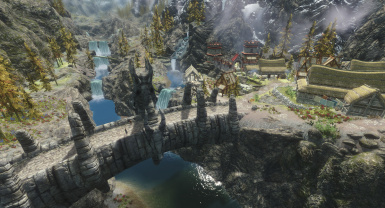 This makes the Dragon Bridge bigger! 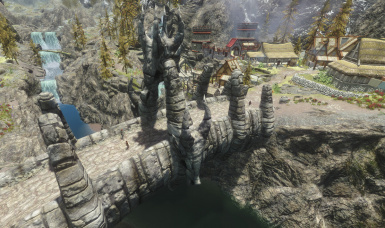 The ancient architectural wonder that is the Dragon Bridge always seemed a bit underwhelming to me, so I made it substantially bigger. 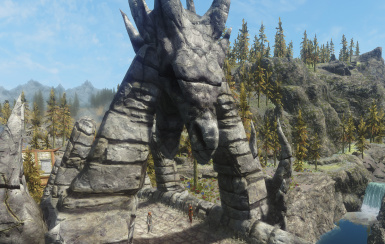 I had this idea a long time ago before I knew anything about the Creation Kit, but I realized I could totally do it now, so I totally did it! It's not crazily huge. It's about 1.5 times its previous size, but that makes quite a difference when you cross it! 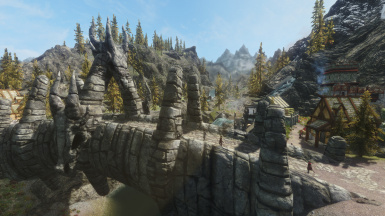 The bridge uses stone textures from dungeons. 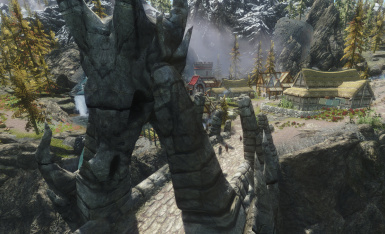 At this scale it will look much better if you use some HD dungeon textures. 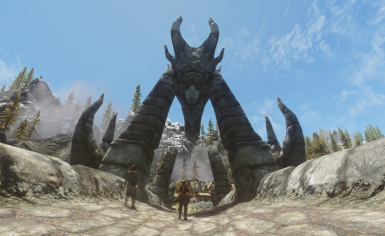 This has no special requirements at all and should not conflict in a serious way with any mods! 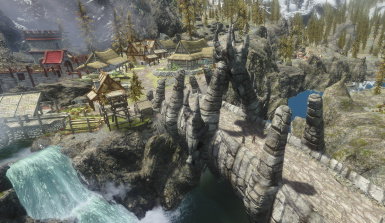 I use Expanded Towns & Cities - including the Dragon Bridge South add-on - and I made sure this is fully compatible. You can see it in my screenshots. 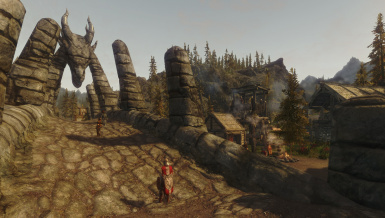 I'm not sure if it interferes with any clutter added by any other town mods. Anything that doesn't touch the actual bridge should be fine. 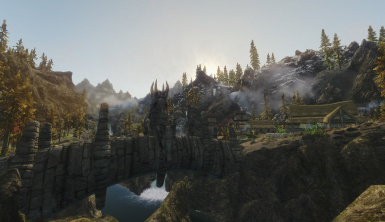 I adjusted the navmesh on and near the bridge as best I could and shuffled some patrol markers and stuff around, so hopefully this won't interfere with any NPC pathing or carriage rides or anything like that. NO deleted navmeshes or other such ugliness! 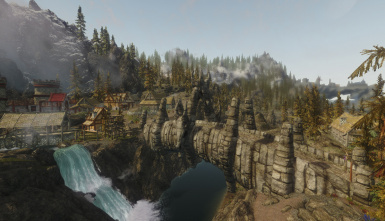 It's thoroughly cleaned in TES5edit and should give you absolutely no problems of any kind! This is a stupidly simple little mod, and it's probably a good idea to merge it into something else if you're comfortable doing that.